To the southwest of the Observatory the station of the radio communication system is installed, with a 45-metre long antenna. According to Manolis Korres, the location of the building is identified approximately with the junction of the modern Antoniadou and Aristagoras Streets. 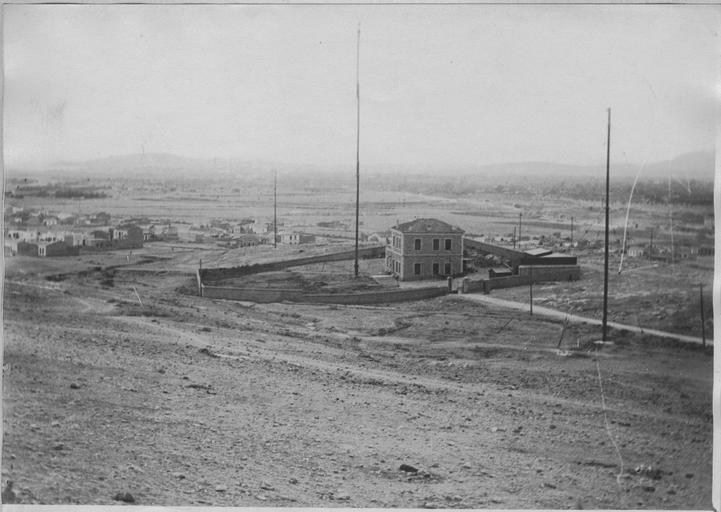 Later, in 1923, the building will house the Radio transmitting Faculty of the Greek Navy War School. 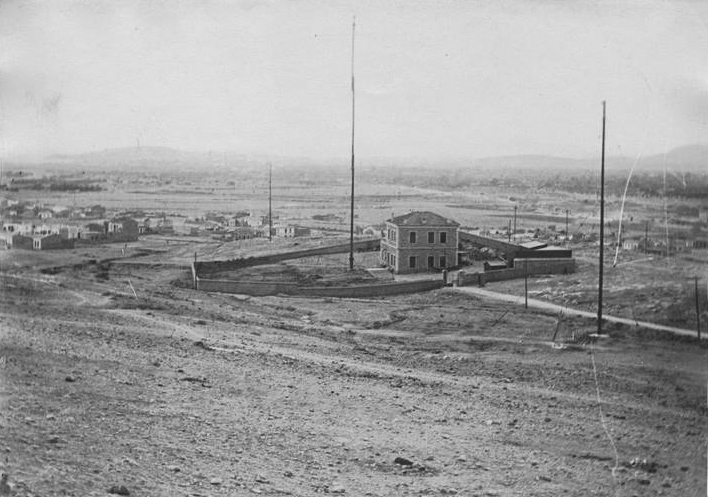 The German radio communication system at the foot of the Hill of the Nymphs (a district later called “Asyrmatos”), 1917.